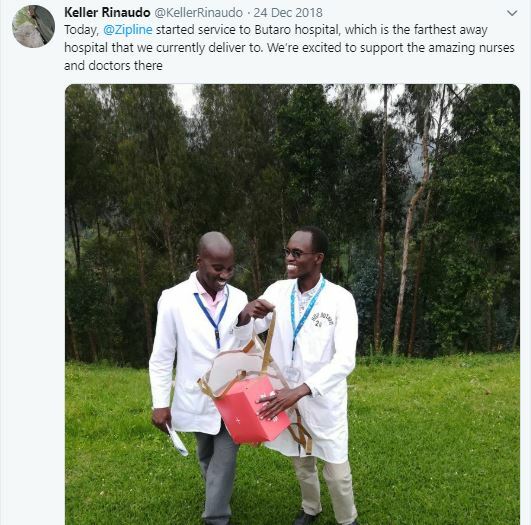 Second drone port that enables supply of blood and other medical deliveries to health centres and hospitals across Rwanda has started operations in Kayonza district, Eastern Rwanda. On Tuesday, January 29, officials from the company that manages the drones witnessed launch of the maiden delivery from the new drone port. “A few minutes ago, Zipline made our first flight from our brand new distribution center in Eastern Rwanda. 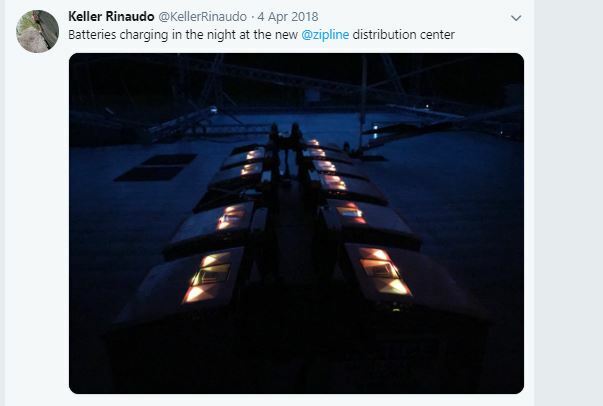 We are excited to add new hospitals to the network over the coming weeks,” said Keller Rinaudo, the founder and Chief Executive Officer of the Zipline, the American based company. 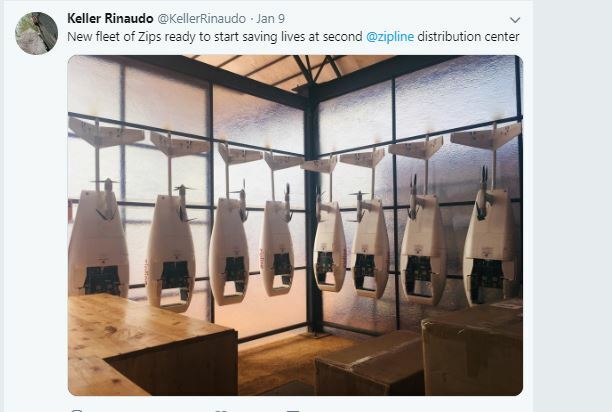 Launched in 2016 in Muhanga district, Zippline has been supplying blood in 21 hospitals, but the new target is to serve 30 hospitals and 400 health centers with the new site. The first generation drone, he said, has a carrying capacity of 1.5 kgs and can fly over a distance of 20 kilometers. The second and third generation drones have a capacity to over 160 kilometers and can carry 1.7 kgs and 2kgs respectively. On top of blood delivery, on October 24, 2018, the Cabinet Meeting approved an agreement between the Government of Rwanda and Zipline for the delivery of medical products via drones. Use of drones in blood delivery has bridged gap in emergency services across health facilities in Western and Southern Province due to the Muhanga based drone port. With Kayonza drone port, the Eastern province and even, part of the Northern Province like the furthest Butaro hospital is catered for. 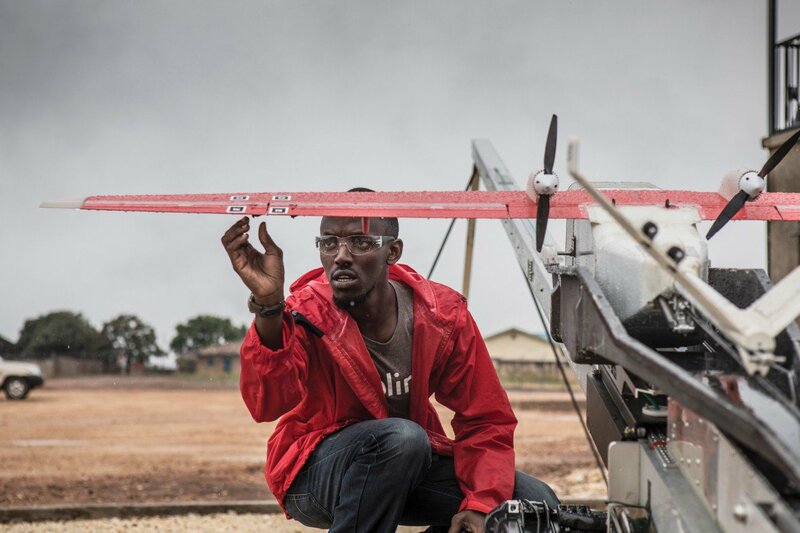 Just after launch of the blood delivery by drones by President Paul Kagame on October 14th, 2016, the turnout time between ordering and receiving blood was shortened from 4 hours to 15 minutes on average. “Some hospitals would make more than 3 hours to make a round trip to the National Center for Blood Transfusion (CNTS) to access blood,” Dr Saibu Gatare, Division Manager for National Centre for Blood Transfusion, told KT Press in a previous story. On January 24, the company was able to fly nine drones simultaneously for much quicker blood delivery service.